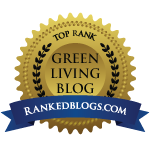 Family, Parenting Archives - simple.green.organic.happy. Hey, Baby! A Collection of Pictures, Poems, and Stories from Nature’s Nursery comes from National Geographic Kids. It’s like Eric Carle’s Animals, Animals meets Rudyard Kipling’s Just So Stories meets animal encyclopedia, with the beautifully detailed presentation of a nature documentary. It’s genuinely enjoyable bedtime reading to help foster a love of animals and the world they live in. and to love a thing we must know it. Disclosure: I received this product for free from Moms Meet, May Media Group LLC, who received it directly from the manufacturer. 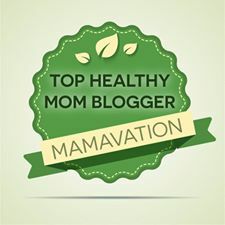 As a Moms Meet blogger, I agreed to use this product and post my honest opinion on my blog. The opinions posted are my own. Did you know a baby zebra is called a fool?! How about that a polar bear can smell a seal from a mile away? I’ve written a number of times about the importance of teaching kids about— and exposing them to— nature and its inhabitants, early and often. I mean, we all do this intuitively to some extent; we take them to the park and jump in leaf piles, we go to the zoo and point out the giraffe’s long neck, we hug puppies and feed ducks, we ask them what does a lion say? to hear their adorable roar. In those posts, I’ve always stressed helping kids to know nature and animals, because when they know how insects fit in the food chain, they’ll care about preserving them for the sake of the birds and small mammals. When they know the call of a crow and see how clever and funny they are, they’ll notice when numbers dwindle and act to preserve them. When they have the opportunity to look a loggerhead turtle in the eye, conserving the ocean has more urgency, more meaning. I’d never really thought about how it works the other way too, but it does. How do we inspire kids to want to know the animals and their habitats? We foster a love of them: we spend time as a family at the aquarium, or birdwatching, or playing in the ocean, creating memories. We talk about what our favorite animals are. We buy stuffed animals to snuggle with at night. 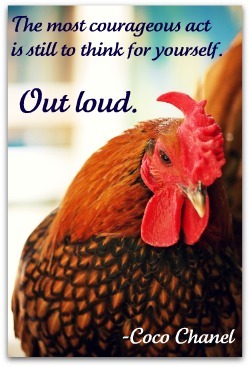 We invite pets into our homes. And we do one of my favorite things. Hey, Baby! A Collection of Pictures, Poems, and Stories from Nature’s Nursery comes from National Geographic Kids. It’s like Eric Carle’s Animals, Animals meets Rudyard Kipling’s Just So Stories meets animal encyclopedia, with the beautifully detailed presentation of a nature documentary. Organized by habitat, the book is full of the amazing photography and fascinating animal facts you’d expect from National Geographic. 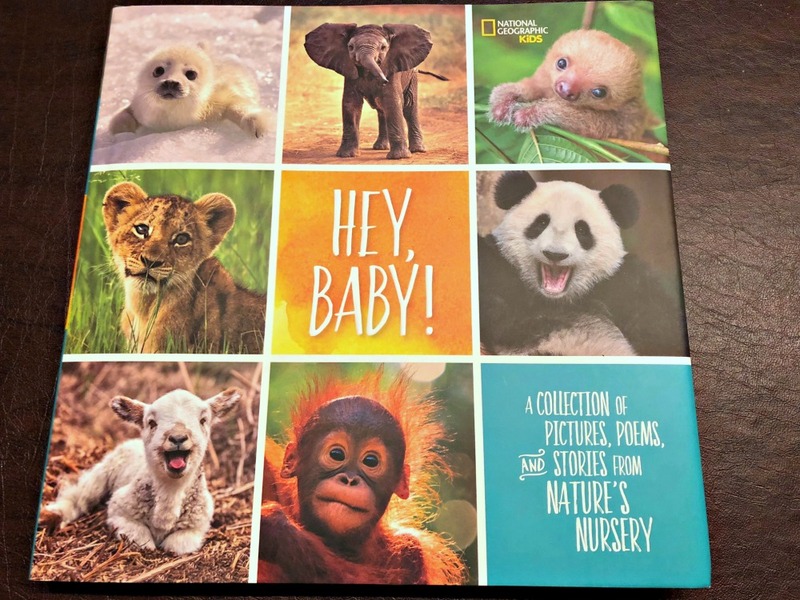 Each page highlights a different (super cute, obviously) baby animal and tells you their “baby name” (pup, eaglet, calf, etc), where they grow up and what they eat. What sets it apart, and makes it ideal for bedtime reading, is the snackable nature of the facts shared. Plus there are animal poems, fables and folktales from around the world, and stories of animal friendships and successful rescues/rehabs. 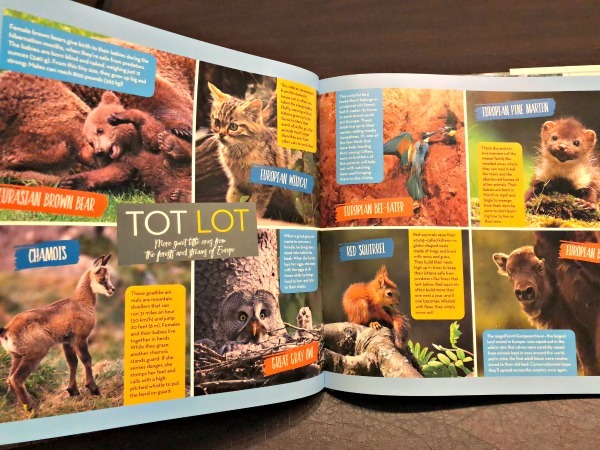 At the end of each section is a “Tot Lot,” a photo gallery of baby animals with a quick bit of trivia about each. All in all, it’s a visual and lyrical treasure. 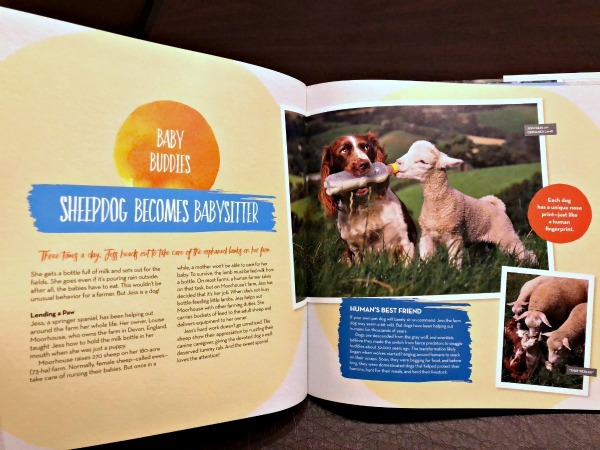 A wealth of information, surrounded by beautiful pictures of adorable baby animals, wrapped up in wonderfully readable stories just right for sharing with kids. The book is a coffee table book, nice and big, perfect to hold together with your child while reading. It would be a great gift for any little, but exceptional as a baby shower or welcome-to-the-world present (I’m a BIG fan of giving lovely keepsake hardbacks to babies, so that they grow up seeing it on a shelf until they are old enough to have it read to them, and then one day read themselves, and eventually hand down to another baby. Most babies get more clothes and toys from other people than they will ever fully use). Extra incentive! Purchases of National Geographic Kids books support the exploration, research, and conservation efforts of the National Geographic Society. You can find Hey, Baby! A Collection of Pictures, Poems, and Stories from Nature’s Nursery pretty much everywhere— at traditional bookstores like Barnes & Noble; local independent stores; Target, Costco, Walmart, etc; and of course online on sites like amazon.com and shopng.com/books. 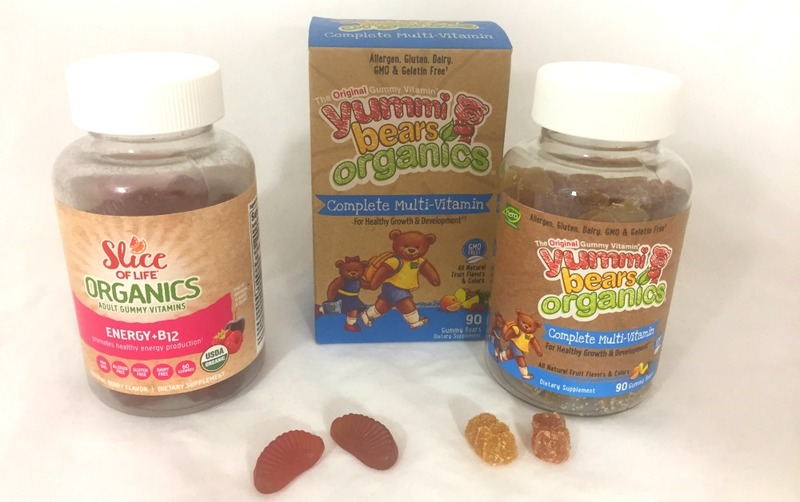 These organic gummy vitamins for kids (and adults!) 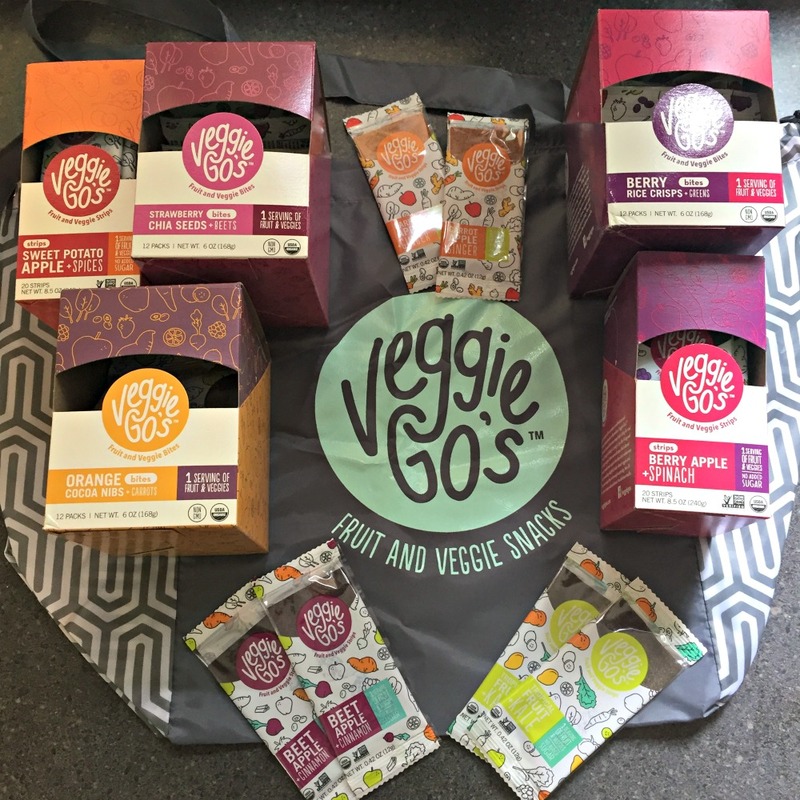 are vegetarian, allergen free, gluten free, and delicious. Mine is pretty good, I think. I try to eat my fair share of fruits and veggies; I’m especially conscientious because I’ve cut out the majority of dairy due to intolerance. Dark greens like broccoli, spinach and kale have a decent amount of calcium, but the daily recommendation is 1000mg and you do have to rabbit up a fairly sizable serving of veggies to hit that on a daily basis. Sometimes I do so easily. Sometimes the day is a whirlwind and when all is said and done, I might not have had a green all day. I imagine it’s the same for all of us, and particularly our kids. We do our best, but some days are better than others. Vitamins and other supplements are a good way to feel confident that we are filling those day-to-day nutritional gaps, to keep our energy levels high and our bodies healthy. 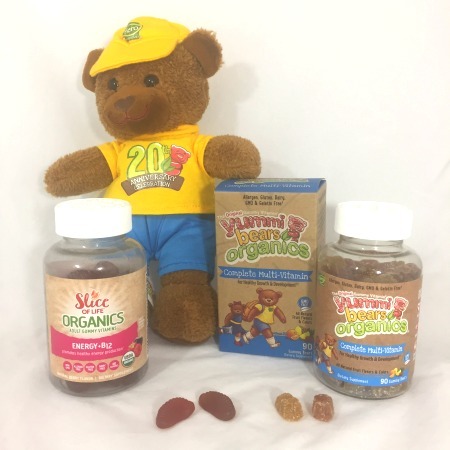 Through the Moms Meet blogger program, I was sent two different kinds of gummy vitamins from Hero Nutritionals to try: Yummi Bear Organics Complete Multi-Vitamin and Slice of Life Organics Energy + B12. These are the supplements I already take (a gummy multi and a gummy B12). Up to this point, I hadn’t pledged allegiance to any one brand; often I pick them up from Costco but I’ll try other brands if they’re on sale. I think I may have found *the* brand. The most important factor, for us, is the flavor. It’s no use buying vitamins the kids and hubs aren’t going to take, right? These taste awesome. The B12s are without question the best tasting ones I’ve ever tried. The Yummi Bear multis are like low-key candy; the kids take them without having to be reminded. Delicious. Although I’m not currently a vegetarian, I have been in the past and Cass seems to be leaning that way lately, and I remember it being a pain finding vegetarian gummy vitamins. So the next thing that jumped out at me is that these vitamins are made from fruit pectin, not gelatin, which is great. Let’s go through the rest of the reasons why Yummi Bear Organics multis and Slice of Life Organics Energy + B12 are smart supplement choices. Yummi Bears were the first gummy vitamins! They were released in 1997, so happy 20th anniversary to them. 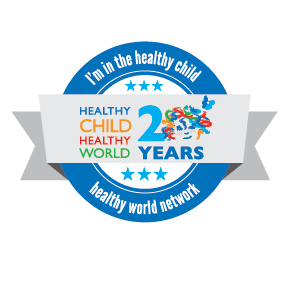 They are the only organic and GMO-free gummy vitamin for children, with nothing artificial added; instead they use natural strawberry, orange, and pineapple flavors. Allergen free: that means no gluten, yeast, wheat, dairy, eggs, soy, salt, tree nuts, peanuts, shellfish or fish. USDA Certified Organic and manufactured in an Organic Certified Facility. Also fruit pectin based, and free of GMOs, gluten, and dairy. In addition to a major dose of B12 that uses methylcobalamin (a form of B12 that’s easier to absorb and use), these have 100% of your Daily Value of B6 and folic acid. All natural cran-raspberry and black cherry flavors, organic colors. Also allergen free, with no GMOs, gluten, or dairy. As I said, I don’t eat much dairy anymore, and I’ve been cutting back on meat pretty hard as well. These are your major sources of B12, along with fish and clams (which I consider meat anyway but I know not everyone does). Add that to letting go of caffeine, and I get brain fog sometimes. Taking B12 definitely makes a difference with that. In addition, my husband has ulcerative colitis, and often people with digestive issues like his (Crohns, celiac disease included) have trouble absorbing B12 from food. I can’t say he takes B12s for that reason; it’s more that when he sees me eating gummies he wants some too. But hey, it works, right? Taking a B12 supplement that includes folic acid and B6 can help to give your heart and circulatory health a boost, along with improving energy metabolism. Unlike some supplements, B12 is considered to be safe to take— just stick with the noted dose, in this case two “slices” per day. Not all vitamins and minerals are considered to be non-toxic in high doses, though, and some can interfere with the efficacy of medication you might be taking. Generally speaking, it’s highly recommended to see your doctor for well-visits regularly and mention any symptoms that are prompting you to consider a new supplement. They’ll likely send you for a blood test to uncover any deficiencies and help you determine what supplements to take at what doses. The really nice thing here is that Hero Nutritionals are pretty readily available. You can find them at Whole Foods, Sprouts, Ralphs, Kroger, Smart & Final, GNC, Vitamin Shoppe and Jimbo’s, as well as online at Amazon and at costco.com. Check out the full list of locations here.